The Last of Us: Part II is probably Sony's biggest PS4 exclusive on the horizon. The original game is a modern classic from Naughty Dog, and the sequel is looking just as good. Though Sony hasn't revealed all that much about the highly anticipated title, there's enough information floating around to understand how the game is shaping up. Below, we'll run through some common questions about The Last of Us 2, and we'll be updating this FAQ as new info becomes available. When is The Last of Us 2's release date? Unfortunately, we don't know yet. Some feel that the game will arrive at some stage in 2019, while others are adamant it won't be ready until 2020. We'll update this FAQ as soon as the release date is confirmed. Are there any pre-order bonuses for The Last of Us: Part II? Again, nothing has yet been announced. We imagine that, as with Sony's other major games, there will be some incentive to pre-purchase The Last of Us 2. Is there a The Last of Us: Part 2 collector's edition? We've no doubt there will be some sort of special edition version of the game, but we won't know for certain until nearer release. Is there a The Last of Us 2 PS4 Pro limited edition bundle? Sony has a habit of producing special edition PS4 Pro consoles to go alongside each of its flagship games, and we're pretty sure it'll do the same for TLoU 2. We're willing to bet it'll have Ellie's tattoo emblazoned on it. Hopefully we'll learn more about this soon. When will pre-load begin for The Last of Us: Part II? Currently you can't pre-order The Last of Us 2 digitally via the PlayStation Store. However, those who do will be able to take advantage of pre-loading the game, which means it'll download to your console before the release date so it's ready to go straight away. This typically starts a couple of days before the launch date. Do you need to play The Last of Us 1 before you start The Last of Us: Part 2? This is a series that's heavily character and story driven, so we would highly recommend playing through the first game before starting The Last of Us: Part II. We imagine the sequel will stand on its own well enough, but to get the full impact, it's worth playing the original adventure, which is available on both PS3 and PS4. What is the story in The Last of Us: Part II? Story points for TLoU 2 are patchy at the moment. We've seen several trailers for the game, but it's hard to discern anything concrete right now. Naughty Dog has gone on the record to say the main theme of the game is "Hate," and we know it stars an older Ellie. Aside from that, details are hazy. Will you play as Ellie for the whole game in The Last of Us 2? Ellie is the main protagonist in The Last of Us: Part II. Whether or not you'll be playing as her exclusively remains to be seen, but you'll spend the majority of the game playing as the 19-year-old. Will you play as Joel in The Last of Us: Part II? We've yet to really see Joel at all so far, so the likelihood of playing as the protagonist of the first game seems slim at this point. We'll have to wait and see. Will The Last of Us: Part 2 release on PS5 as well as PS4? Some believe that The Last of Us 2 will be a cross-gen game -- in other words, it's a PS5 game as well as a PS4 title. Obviously, we don't know the answer just yet, but if the game isn't coming until 2020, it's a possibility. Will The Last of Us: Part II have online multiplayer? Yes. Factions mode is set to return in TLoU 2, but we don't know much more than that at the moment. Will there be microtransactions in The Last of Us 2? We've seen mention of an in-game store for the multiplayer, so it seems likely to us that there will be microtransactions of some kind in the game. Will there be PS4 Pro enhancements for The Last of Us: Part 2? Nothing has been confirmed at this stage, but there will almost certainly be support for PS4 Pro in some capacity. We'll update this FAQ as new information becomes available. Do you have any more burning questions regarding The Last of Us 2? Let us know in the comments below. This is pure clickbait and has no real info. Is that I can't decide if this article is more like a Saturday Night Live skit or a Stephen Colbert opening monologue. Like the first game, will it make me question video games as an art form, my flawed moral compass, and life in general? "Everything you need to know", with pretty much every question answered with "we don't know". Total clickbait article, with absolutely no useful information whatsoever. Truly atrocious. I expect better from this site. Come on guys, just because you know the answers doesn’t mean everyone else does. Plus we’ll be updating the guide! Awful. Awful. Awful. Clickbait. Shameful. how about we report on a release date & or new gameplay, besides that these articles are redudndant. Can’t believe you wrote this article without a steering wheel. @get2sammyb I hear you, but maybe start a guide like this whenever we actually get some actual info about the game. And those guys above aren't wrong, any one who Googles the game is going to see this article first and click on it, and they'll leave with the same information they knew before, which is nothing. It does seem a bit of a strange one, guys. I haven't got too much of a problem with it and sometimes your FAQs are useful but this seems a bit unnecessary until there's some actual news. Can we name this article Frequently Unanswered Questions. @get2sammyb That's just it, we don't know the answers, because there aren't any to know. The only real purpose this serves in its current form is to attract people via search engines and gain ad revenue. It would have been much better to post this when there actually is something new worth knowing, and then update it as more came to light. I could post a similar article on my own site titled "everything you need to know about Uncharted 5" and give people just as much relevant information. Posting this now, in this form, with zero answers, is clickbait - pure and simple. @kyleforrester87 😂. Awesome classic Push Square reference. I personally think we won’t hear nothing really major about the last of us 2 until days gone release and been on the market for a few months. I made a few phone calls and answered some of the questions for you. You're welcome. What is the story in The Last of Us II? The Last of Us II follows a girl called Ellie, who kisses her girlfriend at a dance. Unfortunately, a classmate films the kiss and Ellie then has to deal with the massive internet backlash that happens as a result, while also dealing with an apocalypse. Do you need to play The Last of Us 1 before you play The Last of Us II? 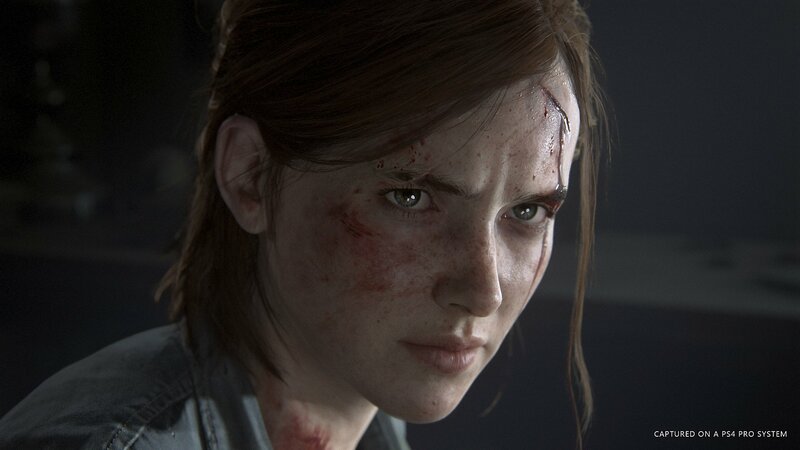 Will you play as Ellie for the whole game in The Last of Us II? No. While some sections of the game will feature Ellie, for the majority of the game you will be playing as Ellie's long-lost uncle, Victor Sullivan. Will you play as Joel in The Last of Us II? No, Joel will not feature. Naughty Dog has revealed that, following the events of the previous game, Joel has retired from zombie killing to fulfil his life-long dream of becoming a milkman. Will there be microtransactions in The Last of Us II? Yes. It has been confirmed there will be lootboxes, which the player can push around while listening to plot exposition. If you pay a certain amount, the boxes can instead be broken, revealing useful items inside. These will include better guns, more ammo and weedkiller for dealing with the fungal-infected enemies. This article kinda reminds me of No Man's Sky. Eventually, it'll have more content. an FAQ with no answers. clap ... clap. 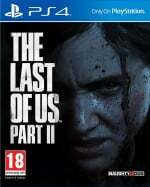 Naughty Dog, please stop beating around the bush and tell us WHEN we can pre-order The Last of Us Part 2. This article is useless. Wow, we are really upset about this article. Except that they always do one of these and update it as info comes out. Does everything have to be bad? Deep down, I always knew that Ellie and Victor Sullivan were related. I'm so excited but terrified to play this game. The first is one of my all-time favourites and I'm just not ready for the brutal heartache that will inevitably follow in the next chapter. But I know I have to play it anyway. We don't know what the content of this article will be, or when we'll get it, but the publisher will earn some cash from those who keep visiting in hope. Do we know anything about this game? > Sold! I'm buying it anyway. The issue I have with these kind of posts (not directing directly at Pushsquare, but in general) is that they provide no information and promise it will be updated. 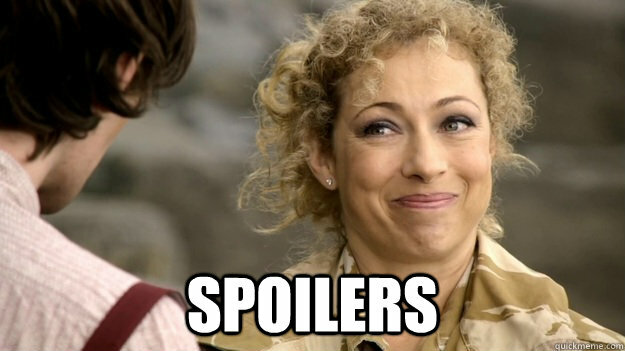 However when actual information comes out regarding this game, you will make a separate post about it anyway. Therefore kind of negating the need for this post at all. But on the subject of TLOU 2 info, I'm of the belief we will play as Joel in the opening chapter only, in a shocking turn of events will be killed by vengeful fireflies, hence creating Ellie's motive for the rest of the game. Joel will appear as a "guiding ghost" throughout. And Ellie will find Out in the course of the game what Joel actually did to save her, making conflicting emotions for Ellie! That's how I would personally write it anyway.